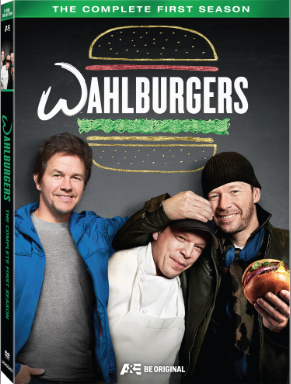 Wahlburgers: The Complete First Season will be available on DVD July 22; Sector 4: Extraction will be available on DVD (plus Digital UltraViolet), Digital HD, Video on Demand and Pay-Per-View July 22. A&E’s newest hit series, Wahlburgers: The Complete First Season, which takes a close up look into the day-to-day lives of one of Boston’s most famous families, the Wahlbergs, arrives on DVD July 22 from Lionsgate Home Entertainment. Starring Mark Wahlberg (Upcoming Transformers: Age of Extinction), Donnie Wahlberg (TV’s “Blue Bloods”), Paul Wahlberg, Johnny “Drama” Alves and making her television debut, Alma Wahlberg, Wahlburgers: The Complete First Season delivered the best season average for an A&E program since Duck Dynasty. The Wahlburgers: The Complete First Season DVD includes over 10 minutes of never-before-seen on TV webisodes and will be available for the suggested retail price of $19.98.